FEC recently completed the design and drafting of a vessel section for a local fabricator. Working collectively with our client and the end user, the scope included design of the vessel, platforms, lifting, tailing, transport and temporary support during storage. The vessel seen here has been dressed in the horizontal position to minimise working at heights. Installation will be completed in the coming weeks. FEC also assisted the end user in determining support requirements during the installation phase. This included specifying the extent of welding required before the crane could be removed. 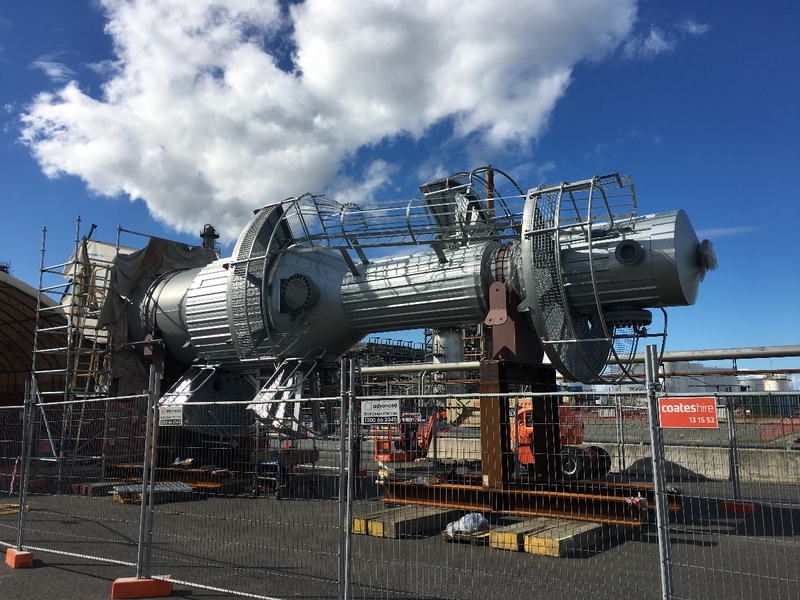 For process reasons the vessel required Post Weld Heat Treatment (PWHT) and with detailed analysis we were able to eliminate the requirement for crane support during this stage. This permitted efficiency for the client during the installation phase and reduced craneage requirements. Drafting work was completed in 3D using our proprietary plug-ins to Autodesk Inventor. Permitting clash detection, COG calculation and visualisation aids for construction planning.